Platform 22 needs your help! As many of you will know Platform 22 Gallery has been an arts venue since opening in 2005. 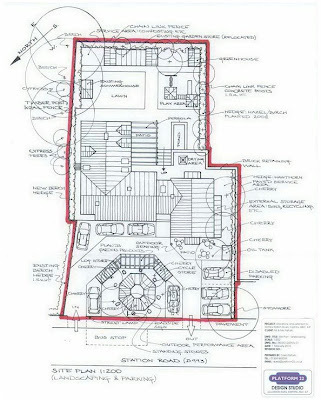 In that time we have out grown the existing building and we are now planning a new and improved facility with dedicated gallery, studio, workshop and coffee shop areas. Platform 22 has always tried to support local artists and makers, and we hope that the new building will allow us to continue and develop this. Many thanks for your help it is very much appreciated. Gordon Highlanders Museum, Viewfield Road, Aberdeen. 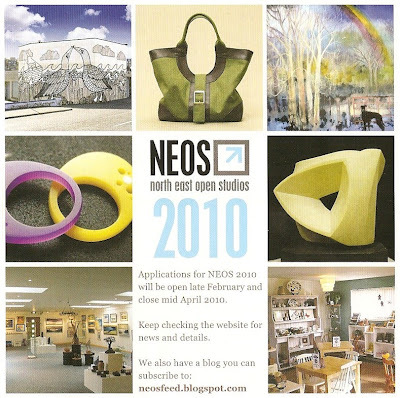 Come along and have your say about the future of NEOS and find out more about this years registration process, deadlines and general information. There will be a chance to network with other creatives and vote for members of the committee. Tea, coffee and yummy scones will be served. 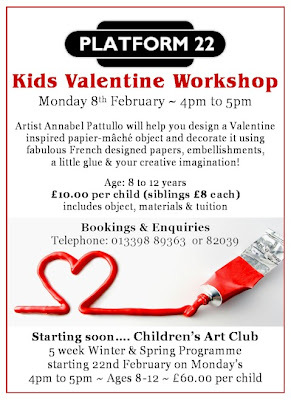 Annabel Pattullo is holding a wonderful Valentines Decopatch Kids Workshop at Platform 22 on Monday 8th February 4 to 5pm. It is the perfect craft to "make & take" home with you ... just in time for Valentines day! Places are limited, so book now to avoid missing out!!! Annabel will also be starting a Children's Art Club, for 8 to 12 year olds after school on Mondays . The Winter and Spring programme begins on Monday 22nd February, for 5 weeks and will include printmaking, junk art, painting, blue-print photography and textile design.